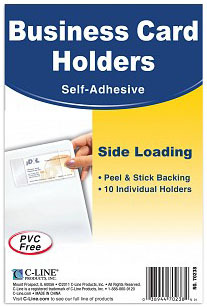 This 2 x 3 1/2 self-adhesive business card holder sleeve is side loading. There are 10 per pack. Peel and stick.